Real estate developer CPIC has announced its mega launch events for its latest development ‘The Heartland’ at Renaissance New York Midtown Hotel on the 10th and 11th of November 2018. 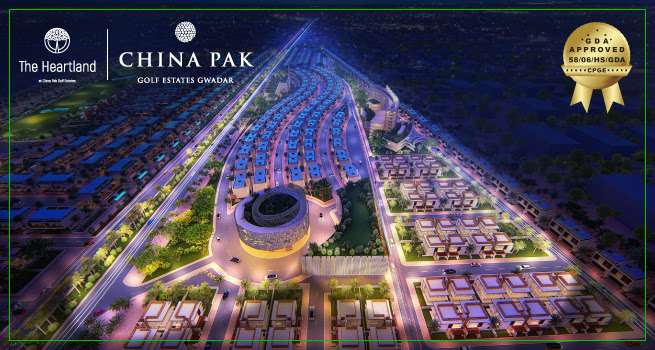 NEW YORK, NY, November 10, 2018 /24-7PressRelease/ — CPIC, the award-winning real estate investment company specialising in opportunities within the China-Pakistan Economic Corridor (CPEC) has announced the official launch of The Heartland in New York, its latest housing project in Gwadar, Pakistan. CPIC prides itself on presenting only the best offers to its clientele. Given Gwadar is a land of gold itself, we are giving up to 1kg of 24 karat gold to all investors guaranteed, only at our mega launch event in New York! Invest at launch and avail our other concessionary incentives including $6500 off the list price and a promotional payment plan starting from $409 per month! The mega launch events for The Heartland will take place on the 10th and 11th of November 2018 at the Renaissance New York Midtown Hotel, 218 W 35th St, New York, NY 10001, USA. Attendees can expect to receive detailed information about the project and have the chance to consult with sales executives.